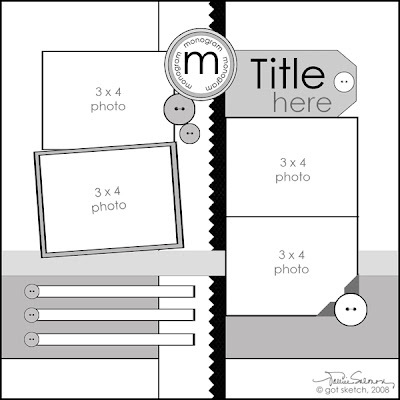 This is a double layout I did for my SIL's album. Sorry for the bad photographing - these layouts were down few month ago, before I figured out how to adjust them to be displayed better. 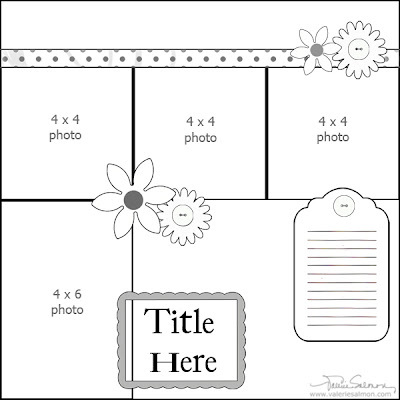 I used: sonburn cardstocks, DCWV patterned paper, prima flowers, Fiskars Threading Water border punch, Scrappy Cat journaling Blocks clear stamps, QuickUtz Silhouette. 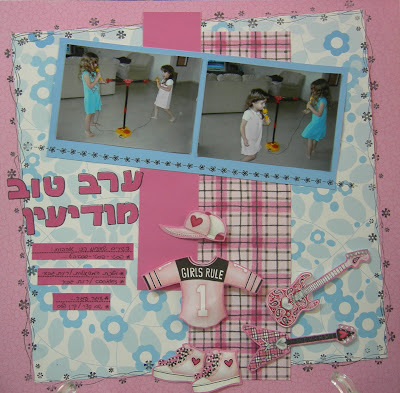 This is the first page of the album I make for my SIL. 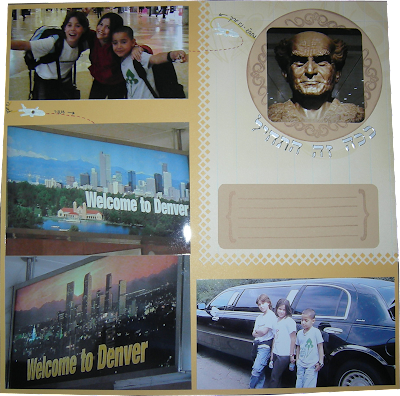 They were in Denver Colorado for 2 years and I scrapbook their experiences. They will journal when they get the full album. 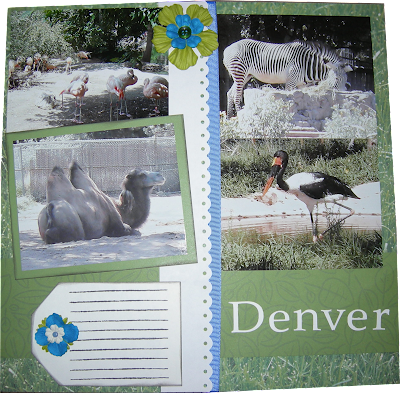 I used: Sonburn cardstock, Autumn Leaves designer printed paper, Fiskars diamonds border punc, Scrappy Cat Designer Flourishes & Journaling Blocks clear stamps, Tim Holtz Old Paper Distress Ink, airplanes eyelets, Hebrew letters stickers. 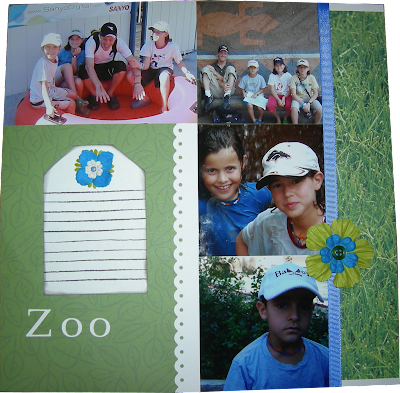 The journaling describe few of their favorites songs. I used: sonburn cardstock, DCWV patterned paper, Miss Elizabeth's Tom Boy Princess, Hero Arts Wavy Bluebells stamp, StazOn jet black, Doodlebug stitches rub-ons, sharpie. The letters for the title were cut by Quickutz Silhouette - Love it!